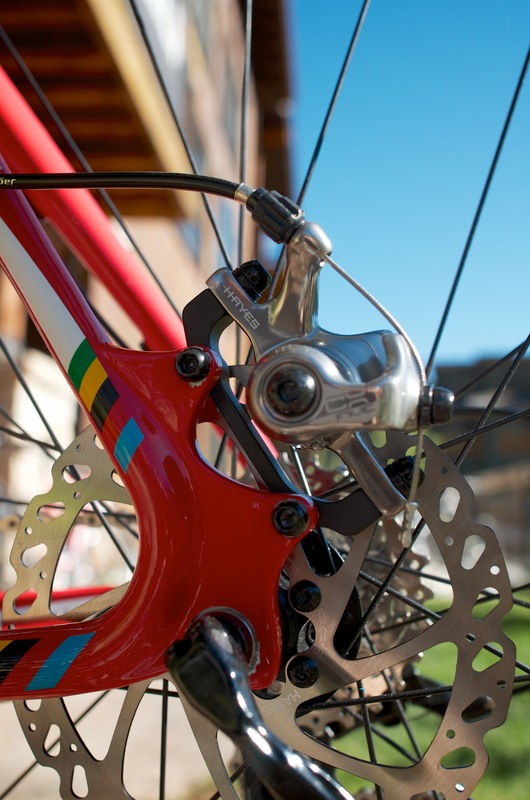 Never met a mechanical disc brake I’ve liked or thought worked well, until maybe now. Hayes Components insists their ball and ramp system works the best and patented them in 06. After manufactured a batch, they sat on them for a few years until the UCI approved discs for Cross. They’re shipping now with an MSRP of $70.00. Ridley is spec’ing them on 3 bikes this year with more expected soon from other manufacturers. We’ll have them on test soon with a follow-up post.